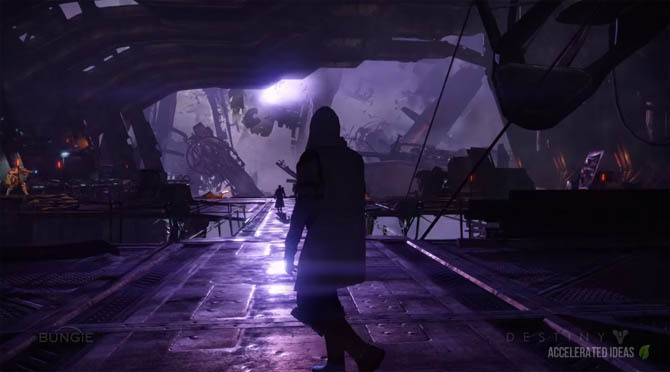 Included in the second DLC for Destiny, House of Wolves (HoW), Bungie will introduce a brand new Tower area called the Reef Social Space together with a new Fallen Strike which goes by the name of the Belly of the Beast. Whilst many were focusing on the surface of the 1.1.1 update which fixed the heavy ammo glitch and rebalanced weapons, hidden deep inside were a new set of leaks for the House of Wolves expansion. 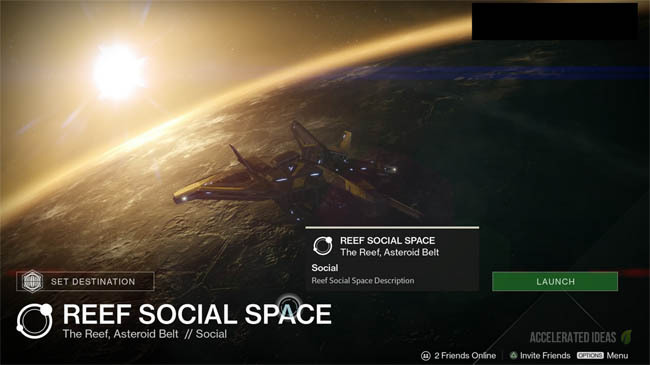 Just like the original Tower on Earth, the Reef Social Space is a new social area that players can travel to from Orbit. Located in the Reef Asteroid Belt, the social area supports up to 16 players and provides the starting point for the Queen's Wrath bounties, quests and missions. As we've come to learn from Destiny, the social area was part of the original Destiny game but was later cut into an expansion. This is evident through the various Bungie trailers that revealed a Tower like hanger located inside an asteroid belt (what we now know as the Reef). Missions: Tracking Quarry, Pact of Wolves, Path of the Traitor. Completing Queen's quests will reward the player with Expansion specific gear, mostly armour. 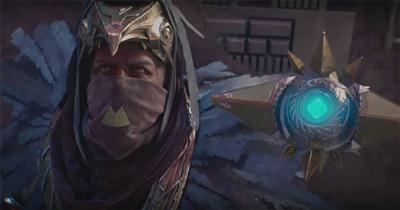 However, the level of this gear is fairly low and quickly replaced by superior Raid gear. Given the importance of vault space in the game, especially following the vast number of new weapons from The Dark Below, Bungie have been working on a new way to store precious armour and weapons for safe keeping. It looks likely that the Reef Social Space will include a second Vault where players can store their prized possessions, in addition to the existing vault on Earth. Whether this is a good thing or not, I'm not convinced. On one hand it does provide more storage space, but at the same time it forces players to use the slow Orbit travel system to switch weapons and armour, which is further complicated by alternate characters. Also imagine the pain during a Raid group where one person needs to visit two different vaults to get the gear they need. "A Fallen Wolfship holding an infamous Walker has touched down in the Ocean of Storms. Breach the Ketch and see to this Walker's end". As many fans had hoped, the final BOSS for this strike is a Fallen Walker - the giant robot spider which also features halfway through the Sepiks Prime strike on Earth. It's a level 28 strike which fits nicely with the new Vanguard Dragon playlist which automatically matches fireteams for level 28 strikes.